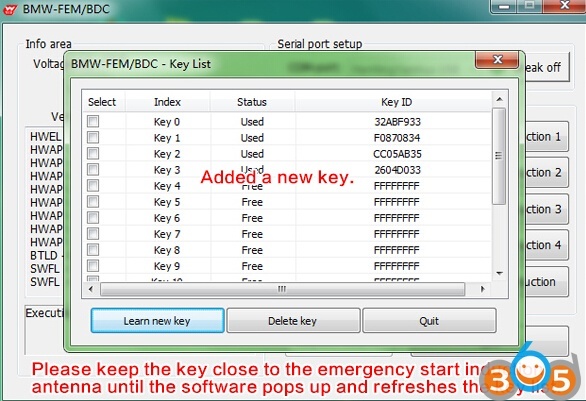 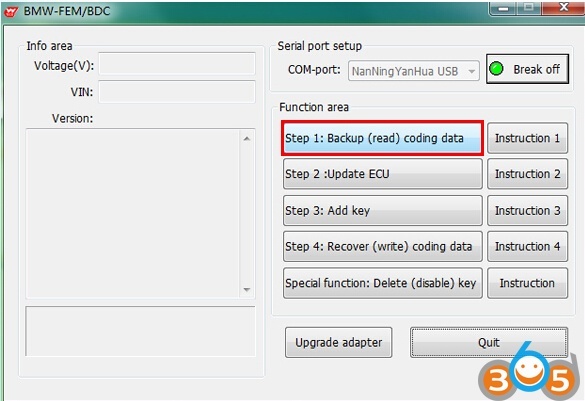 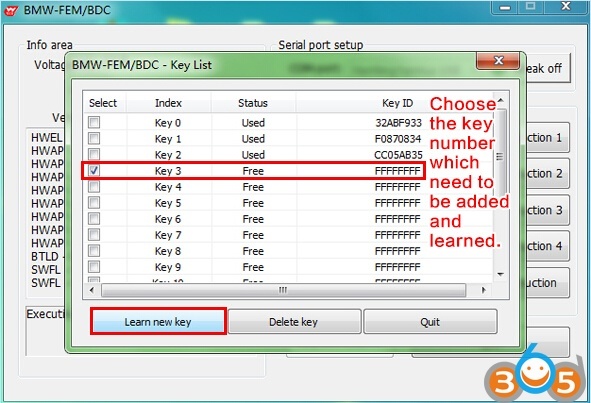 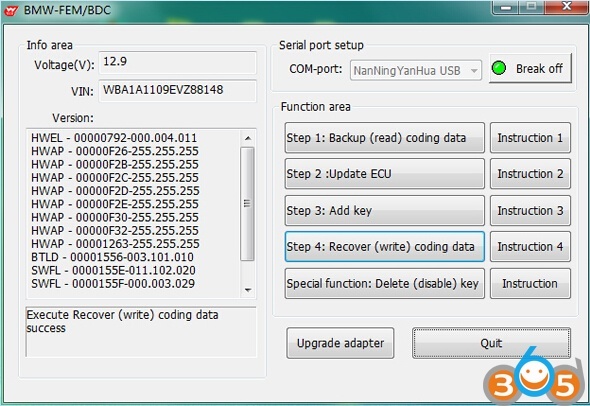 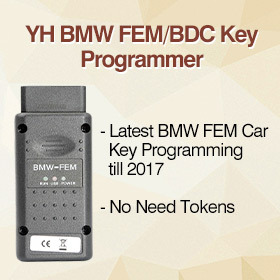 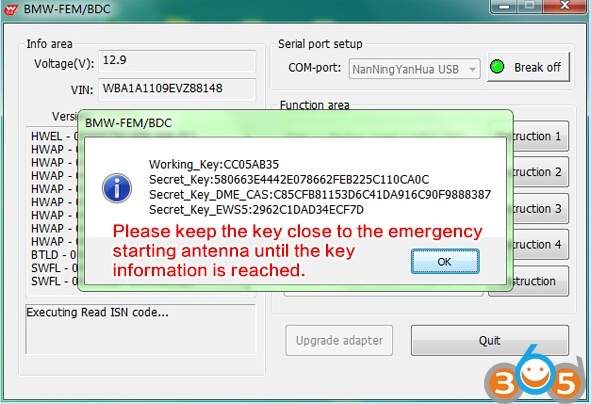 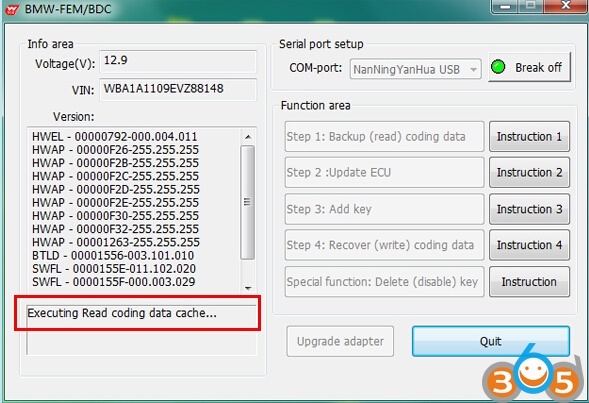 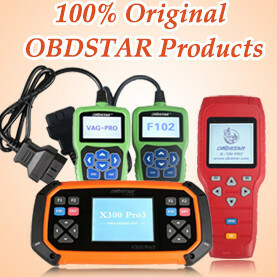 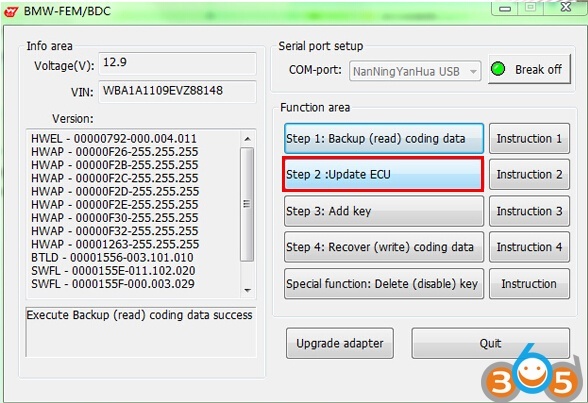 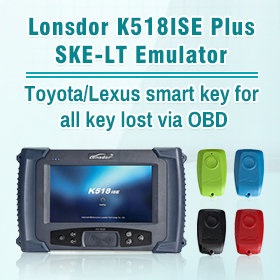 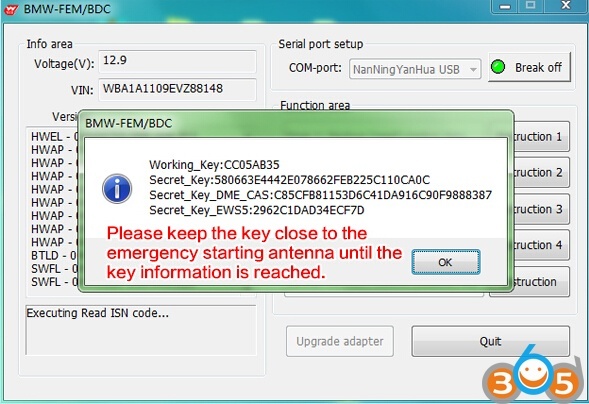 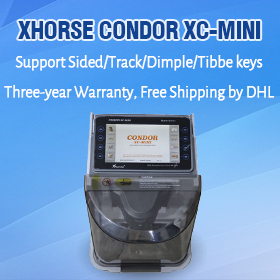 Here, 5 steps to add/program BMW FEM/BDC system key with Yanhua BMW FEM/BDC programmer by OBD. 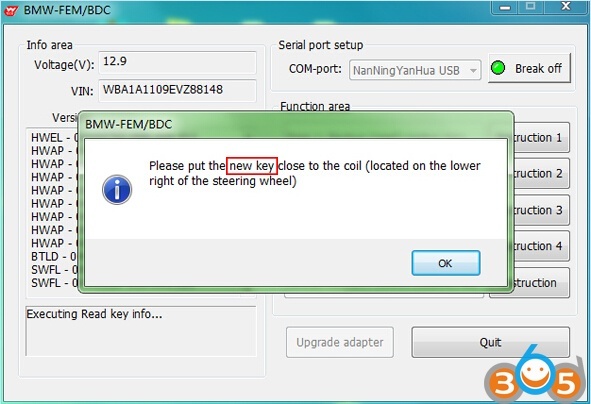 1.3: Please turn on the switch, keep the vehicle battery voltage no less than 13.0V. 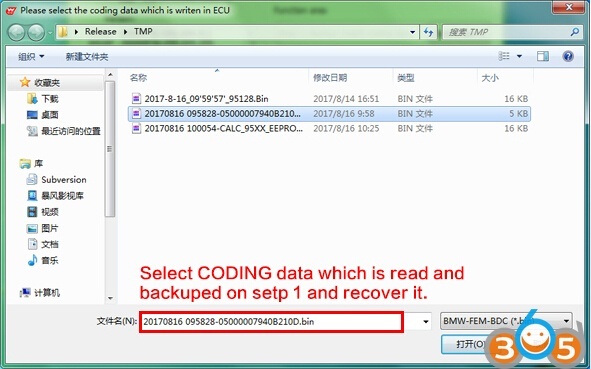 1.4: Perform “Backup (read) coding data”, and save the data for later use. 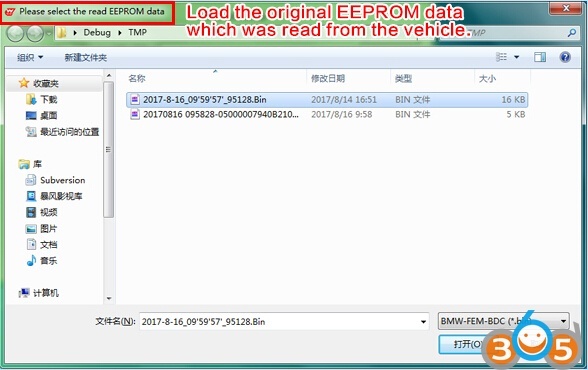 2.4: The software prompt to load the original EEPROM data which was read from the vehicle by programmer. 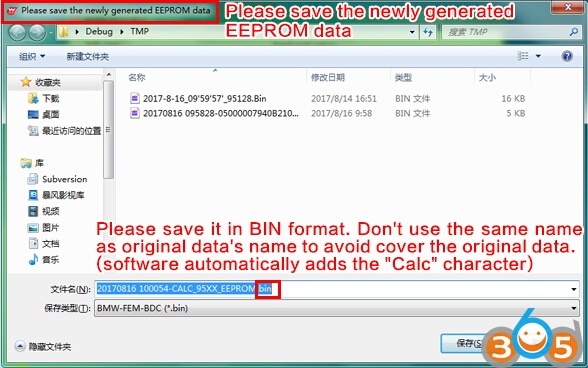 2.6: The software prompts to write the newly generated EEPROM data back to EEPROM chip, solder the EEPROM back to FEM/BDC. 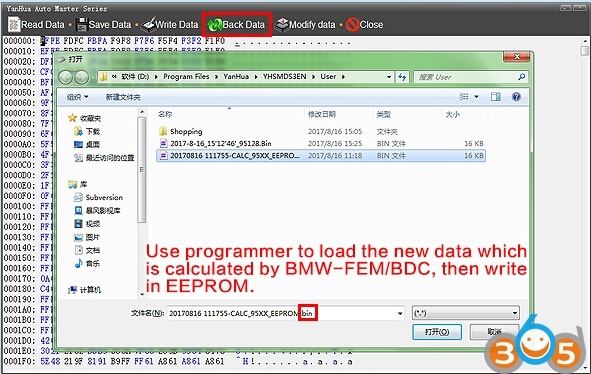 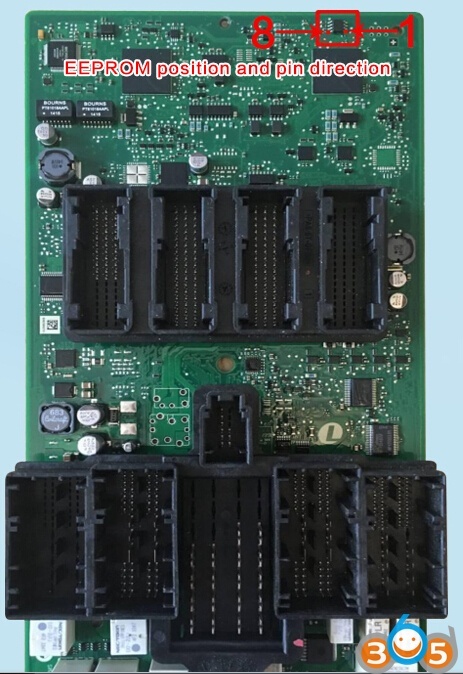 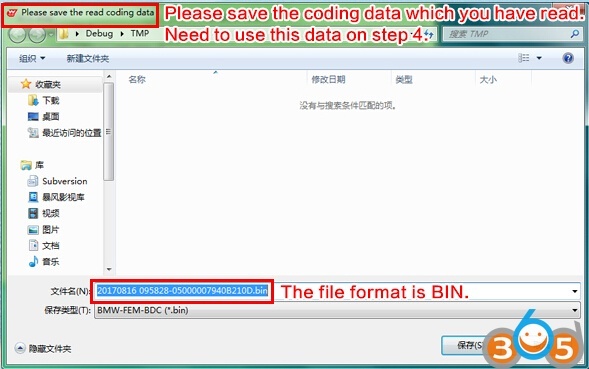 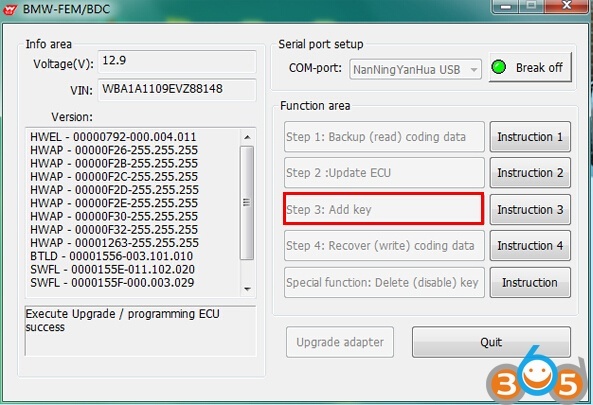 2.6.1: Use universal programmer (e.g Yanhua CKM100 Car Key Master) to load the new data which is calculated by BMW-FEM/BDC key programmer, then write in EEPROM. 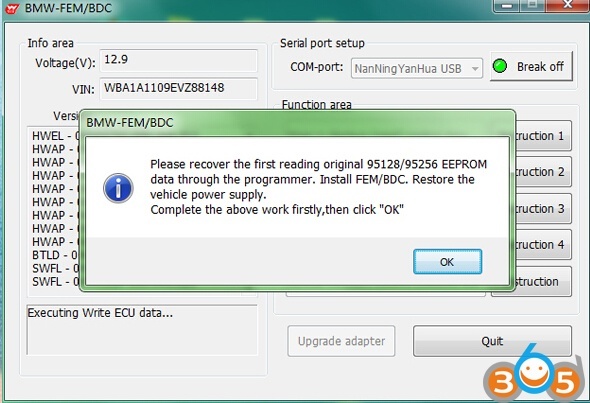 2.6.2: Solder the EEPROM back to FEM/BDC. 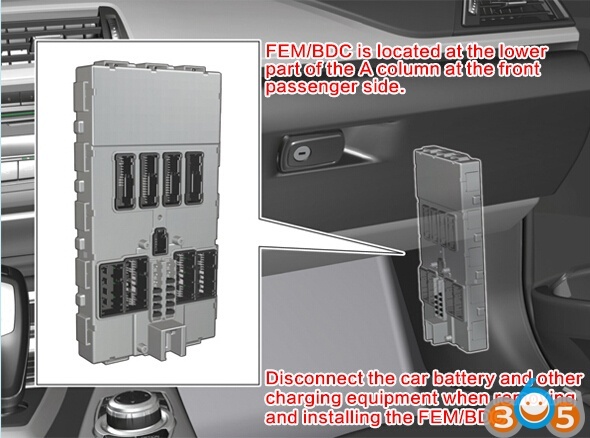 Install the FEM/BDC back to vehicle. Recover power supply for vehicle and turn on the switch. 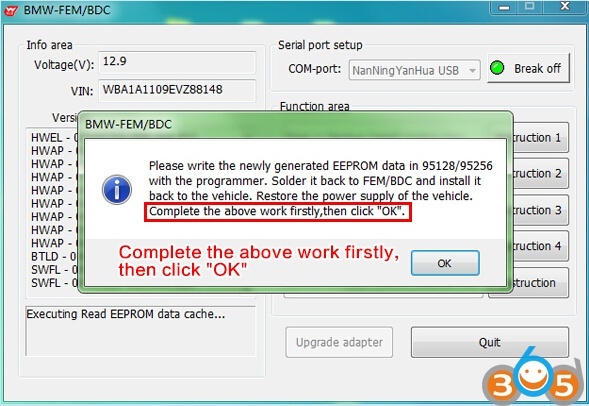 Go back to the BMW-FEM/BDC software and click OK.
2.7: Software prompts to upgrade ECU. 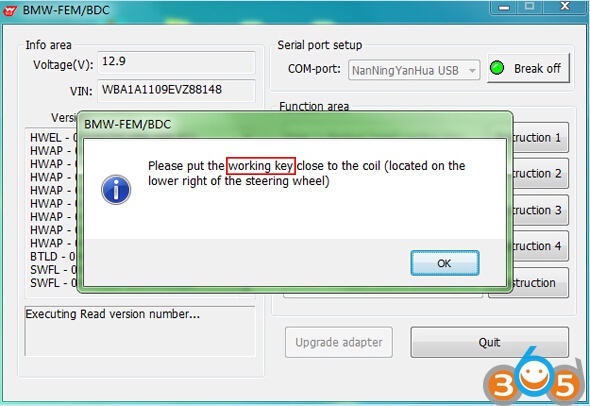 Please ensure the vehicle voltage no less than 13.0V. 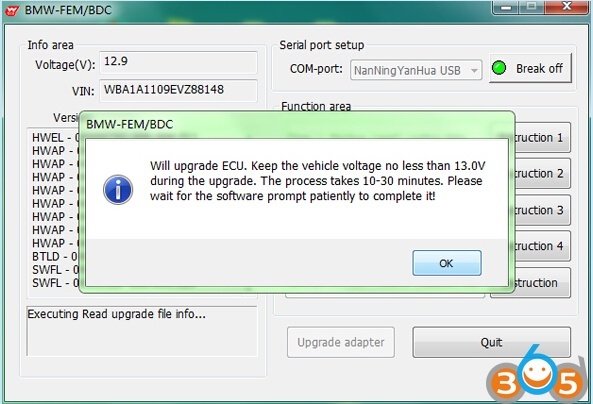 2.8: The software prompt that upgrading ECU. 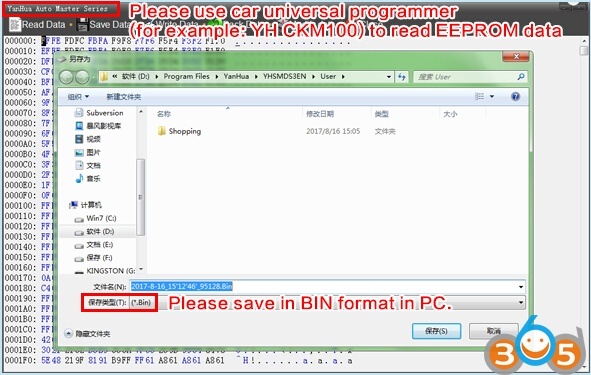 It will take 15-30 minutes. The software began to count down. 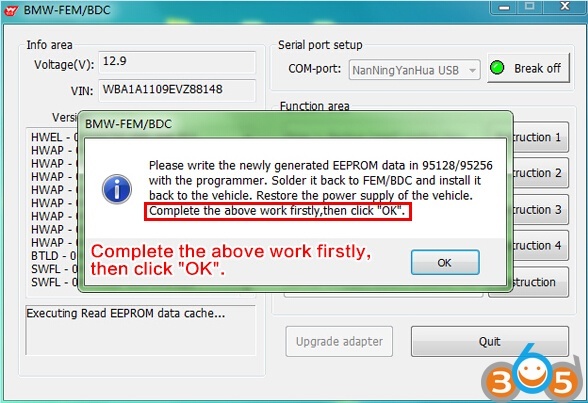 2.9: After completing ECU programming, the software prompts the user to recover the first reading original EEPROM data by programmer. 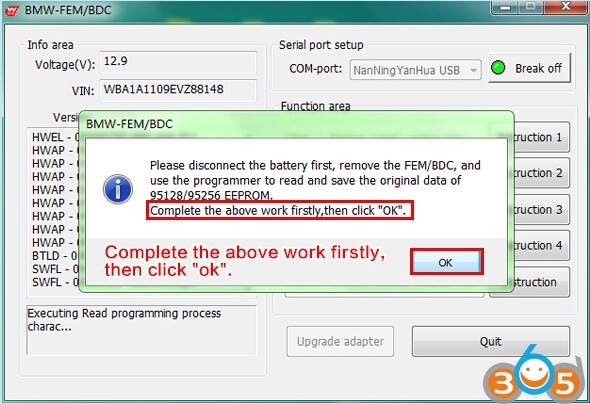 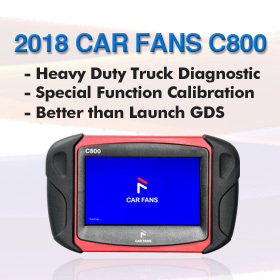 And install the FEM/BDC and restore normal power supply for vehicle. 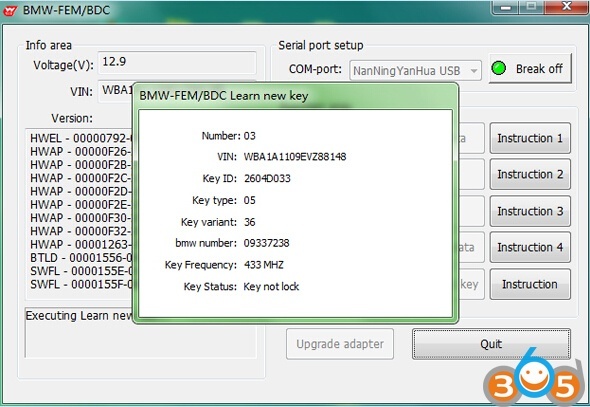 Test the switch, engine start function of the key. 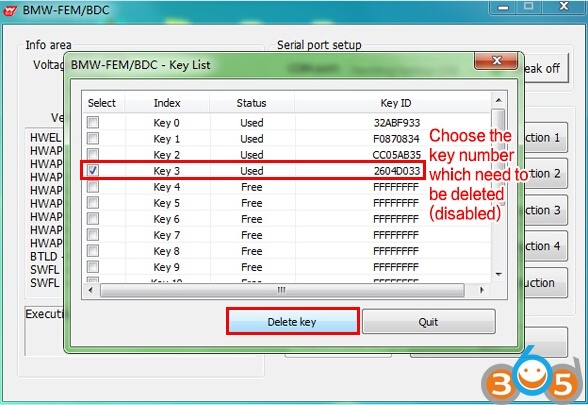 5.5: When the software completes the step of delete (disable) specified key number, it will return and reflesh the key list. 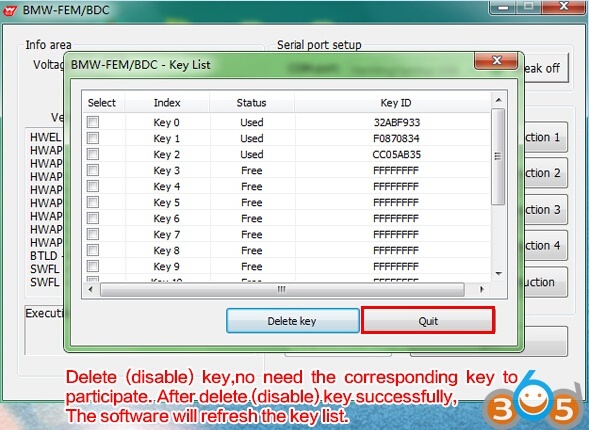 Users can continue to delete (disable) more keys on this interface.